The iPhone 8 has been the subject of many rumours and while they might be true the naming hasn’t always been quite right. Now it looks like the new iPhone 8 names have leaked. According to 9to5mac, Apple plans to ditch the “S” in its iPhone names. So while some have been reporting on an iPhone 7S and iPhone 7S Plus, what we’ll actually get will be named differently. On Apple’s keynote reveal date of 12 September we should see three new iPhone models. 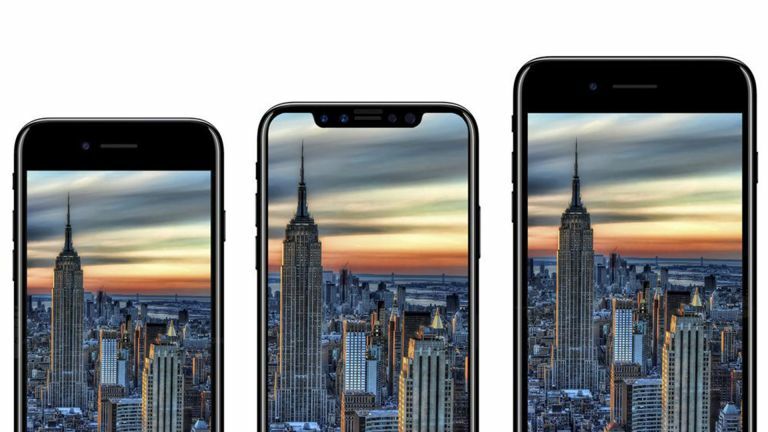 These will apparently be called iPhone 8, iPhone 8 Plus and iPhone Edition. This isn’t the first time we’ve heard that iPhone Edition name as it was leaked way back in March by MacOtakara. The idea behind the name is thought to be that this is to celebrate the anniversary of the iPhone with this special model. Rumours suggest this Edition handset will feature a near bezel-free OLED display, stainless steel chassis with glass rear, dual cameras, wireless charging and potentially a fingerprint reader built into the screen. How the iPhone 8 and larger iPhone 8 Plus compare isn’t completely clear. They should still get dual cameras but may not be graced with the new OLED display. So, yes, Apple is essentially using a screen technology used by its competitor for years and marketing it as a new and premium feature in its top level iPhone - which everyone will no doubt shell out all the money for. All will be revealed at Apple’s keynote event which has been officially confirmed for 12 September in the newly constructed Steve Jobs Theater on the Apple Park campus.